I can hardly believe that tomorrow is Thanksgiving! It is pretty much my favorite holiday as it combines all my loves – cooking, wine, setting a gorgeous table, eating all day. You know, the good stuff in life. I’m hosting in our house for first time and while things are coming together a bit last minute (like furniture getting delivered today friends. TODAY), I still want to create something with a bit of the extraordinary for my family to enjoy. You can follow along on Insta-stories and see my table come to life in real time today. But, even if I pull off the perfect centerpiece or if I manage to get our turkey to come out golden brown none of that matters as much as sharing this time with people you care about most. Because I am eternally grateful for them. And for you. Thank you to each and everyone one of you who have ever stopped by this site in the last (nearly) ten years. The only reason Apartment 34 still exists is because of you. Happy Thanksgiving. 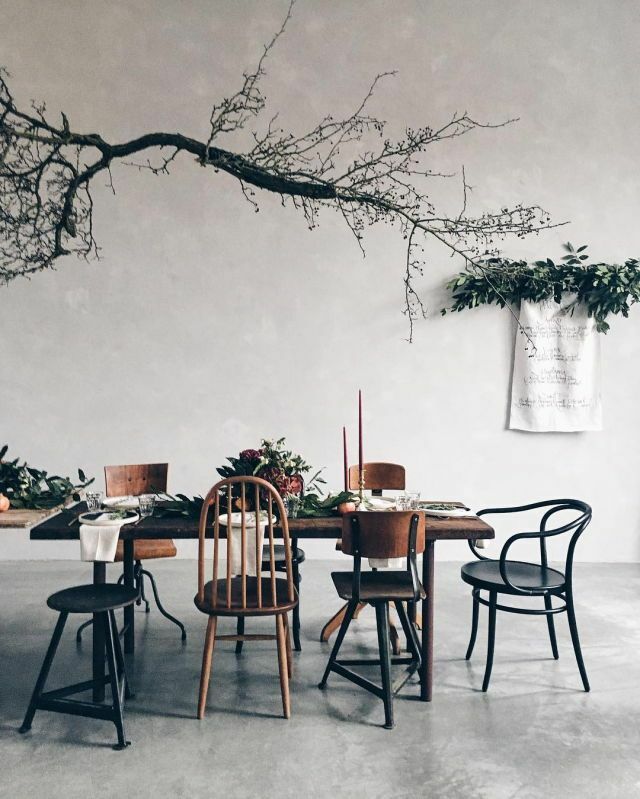 And now, gorgeous tabletop inspiration to spark all your Thanksgiving table dreams. For Thanksgiving recipe ideas CLICK HERE. Thanks for the ideas! They are cool. I like most minimalist design though!